Signing up for LinkedIn is easy – but if you’ve failed to see your inbox fill up with job offers, it may be time to face up to the fact that LinkedIn success requires a bit more than the minimum effort! In fact, there’s a whole host of different strategies you can take to get more people to your profile, and make a good impression once they’re there. Some are one-off fixes, while others require more sustained effort as your career progresses. The first step is to make sure your profile is everything it should be ahead of your new wave of visitors. That means heading to profile settings to get yourself a personalized URL, and fixing your headshot and headline on the profile itself. A good headshot will be carefully matched to the tone of your industry – if you’re a creative, for example, it will be less formal than if you’re in law or politics! Your headline will convey what it is you do, and what drives you to do it. Once your profile page is primed for visitors, it’s time to get your name out there. Sign up to groups to keep track of what’s going on in your industry, and to get involved in the conversation. You can lead that conversation by publishing your own posts and responding thoughtfully to the comments that you get. 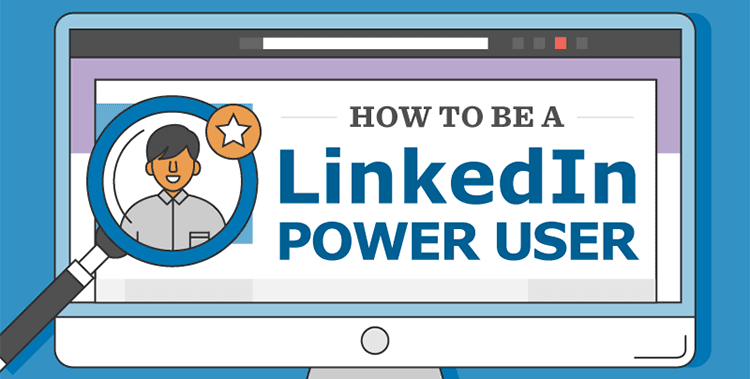 This new infographic from OnStride provides an excellent step-by-step guide to how you can become a true LinkedIn ninja. It’s worth going that extra distance if you’re serious about using the professional networking site to take your career to new heights.